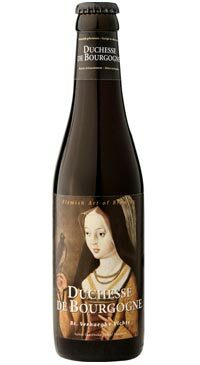 Duchesse de Bourgogne is a beer for wine drinkers. The nose has gentle red-wine like aromas, sour cherries, earthy barnyard, and soft toasty oak. The palate is medium-bodied and soft boasting a rich soil and cocoa element quickly followed by a surge of tart cherries and apple peels that finishes complex and dry. A beer to ponder and enjoy.